A grand opening is scheduled for the 27th of October starting at 10:30AM. Visitors will be able to walk across the bridge before it opens to traffic in the evening. 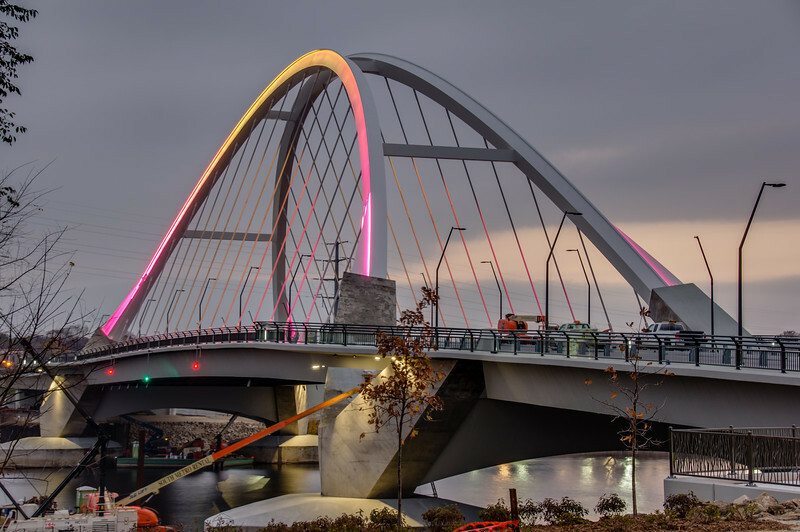 Testing the lighting on the new Lowry Avenue bridge. Here’s a non-HDR image earlier in the day. 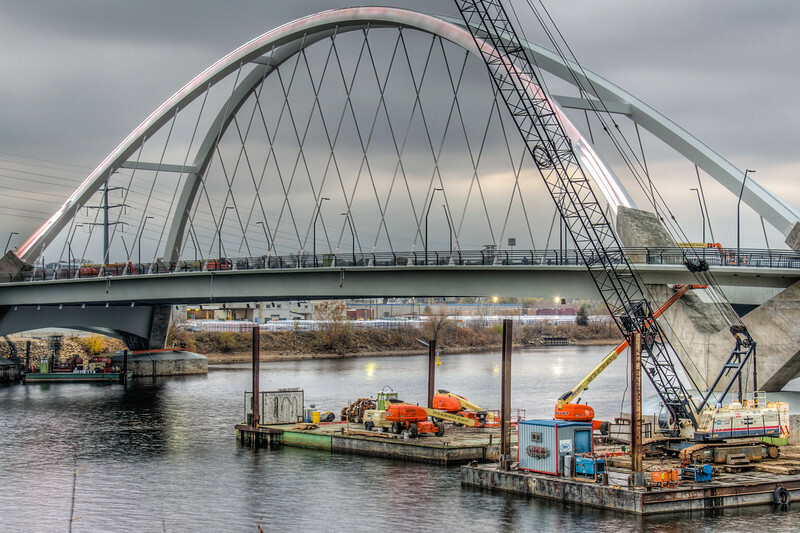 The bridge is rather futuristic considering the neighborhoods it connects (North Minneapolis to Northeast Minneapolis). To be honest it’s quite jarring next to the industrial areas and brick buildings. I live in one of the “jarring” neighborhoods adjacent to the bridge. We welcome this work of art to our city. Actually if you read my comments I said the bridge is jarring not the neighborhoods. Not everyone in the neighborhood welcomes the work of art as one of the local residents talked my ear off about it. It’s a very nice bridge and I don’t mind photographing it at all. Although In these times a $104 million bridge that carries 16,000 cars per day is going to be a bit divisive. 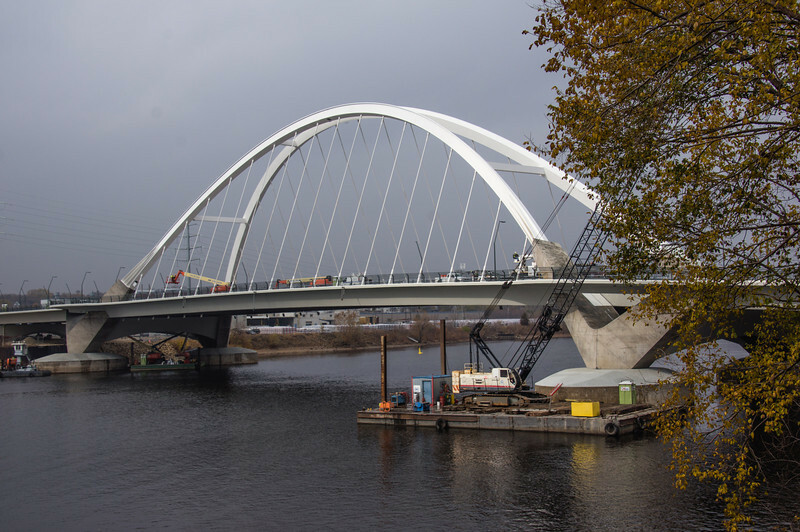 For comparison sake the 35W bridge cost $234 million and carries at least 140,000 cars per day.